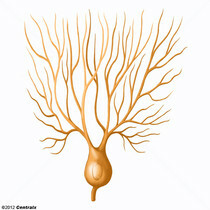 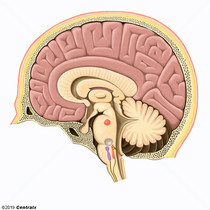 The middle of the three primitive cerebral vesicles of the embryonic brain. 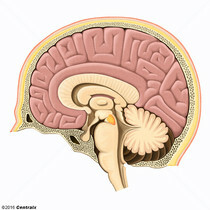 Without further subdivision, midbrain develops into a short, constricted portion connecting the PONS and the DIENCEPHALON. 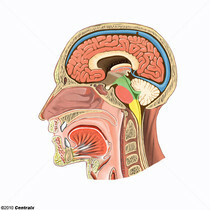 Midbrain contains two major parts, the dorsal TECTUM MESENCEPHALI and the ventral TEGMENTUM MESENCEPHALI, housing components of auditory, visual, and other sensorimoter systems. 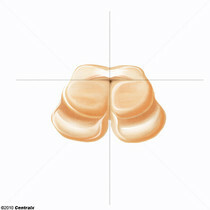 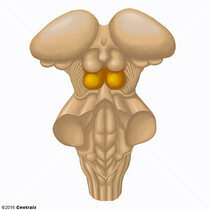 The posterior pair of the quadrigeminal bodies which contain centers for auditory function. 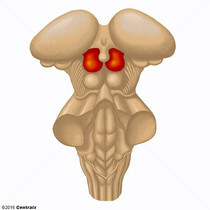 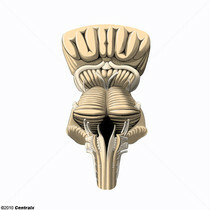 The anterior pair of the quadrigeminal bodies which contain the centers for visual function. 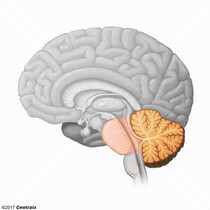 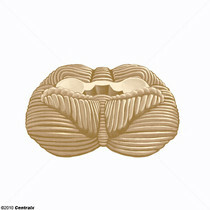 The part of the brain that connects the cerebral hemispheres with the spinal cord. 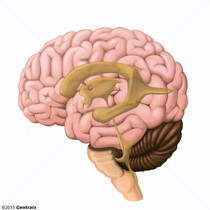 It consists of the MESENCEPHALON; PONS; and MEDULLA OBLONGATA. 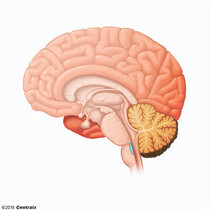 A region extending from the PONS & MEDULLA OBLONGATA through the MESENCEPHALON, characterized by a diversity of neurons of various sizes and shapes, arranged in different aggregations and enmeshed in a complicated fiber network.